Temple Emanuel was built in 1890. 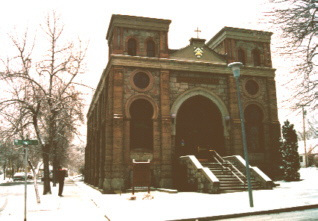 Today, the building is the Chancery of the Bishop of Western Montana. The plaque is located on the North-West corner of the building. 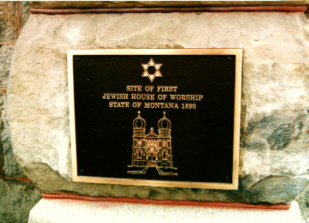 The plaque is enscribed "Site of First Jewish House of Worship, State of Montana, 1890." The image of the Temple is as it was with twin onion domed cupolas, Stars of David and Hebrew Inscriptions. 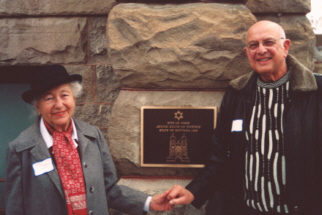 Sydney Lindauer and Joe Schwartz descendents of the original Jewish Pioneers. Their families came to frontier Helena in the 1860's.